Killing weeds is no fun, and currently weeds are growing at an alarming rate. Areas of your yard could have looked great last week, but this week is a completely different story. 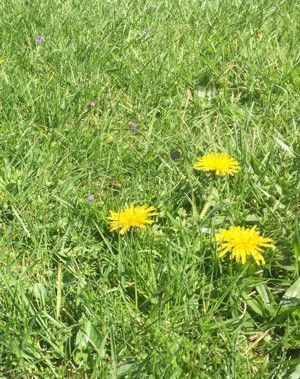 In my experience with weed control, it is best to stay on top of the weeds and monitor them as part of a routine (maybe each time you cut your grass, or each time you water the plants). The goal would be that weeds never get out of control and your desirable plants can flourish. We recommend to spray or pull weeds in your garden areas and through the lawn on a once a week or once every 2 week schedule. This will keep them at a minimum so that they do not crowd out desirable turf or flowering plants. Consistently using spray weed controls in your lawn (ones that you point-and-shoot to target weeds specifically) work great in one application, but even better with a second application. You knock the weeds back with a 1-2 punch! Do this throughout your yard and you will stay ahead of weeds. You can also apply weed barriers and weed preventers throughout your garden where appropriate. For example, landscaped areas of your yard, especially those areas where many perennials grow, are often the ideal spots for laying weed fabric that will prevent new weeds from sprouting for up to 10 or 12 years! There are also weed preventer granules from Preen that are simply applied to the soil surface and that effectively prevent weed seeds from sprouting in the treated areas. Preen is an easy to apply product that can greatly reduce the number of weeds in your garden. Stay ahead of weeds and "zap" them before they take over your garden this year!